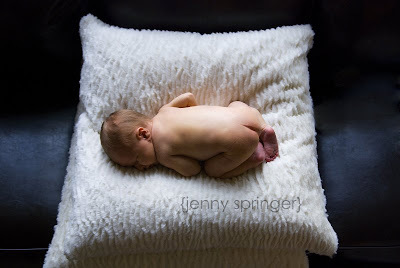 My sister's friend Jenny is AMAZING!!!!!!! She started her own photography business not to long ago,and can i just say she is awesome. She has such talent. 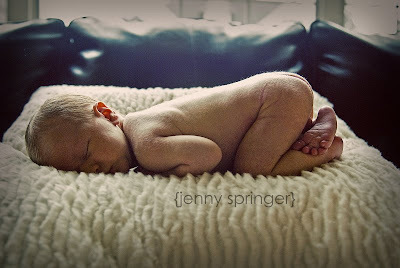 She came over to my house yesterday to take some pictures of the little man. I couldn't believe how well Beau was. He just let her mold him into such cute poses. You should see some of her work . INcredible!!! Her blog is jennyspringerphotography.blogspot.com. Honestly check it out. There are more pictures of Beau on her site! here are just a few pictures of Beau. Enjoy! Mother and Baby are doing well. Here are some pictures of the big day. ENJOY!!!!!! !